The State Employees' Credit Union's largest branch is located in Raleigh. 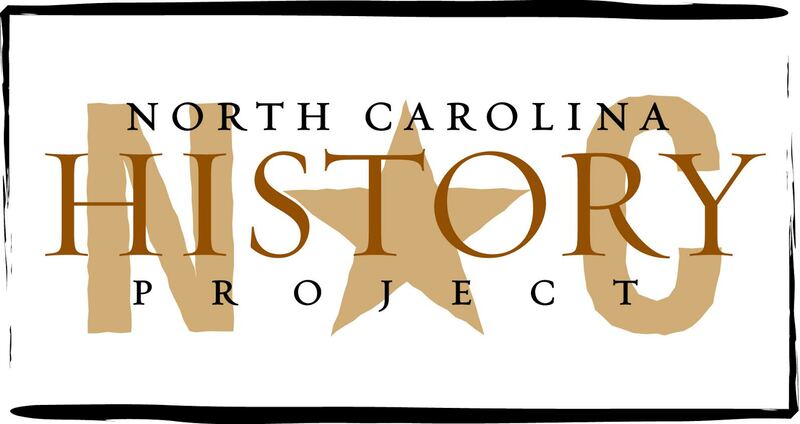 SECU is now the “largest state-chartered, natural-person credit union in the United States.” Image courtesy of the North Carolina History Project. Clarence Poe, editor of the Progressive Farmer, persuaded the General Assembly to pass the 1915 Credit Union Act. Image courtesy of the North Carolina Office of Archives and History, Raleigh, NC. In 1915, the North Carolina General Assembly passed the Credit Union Act. The law allowed for the formation and supervision of credit unions within the state. A credit union is a nonprofit association that usually offers lower loan interest rates, higher savings account interest rates, and lower service fees than banks. This is possible because credit union members share a common bond of occupation or association, or a well-defined location; in essence, members pool their resources and loan money to each other. In North Carolina, credit unions formed initially to alleviate the economic difficulties plaguing Tar Heel farmers. Touring Europe, John Sprunt Hill, a banker from Durham, had been impressed with how European credit unions assisted farmers (The first credit union was formed in 1864 to provide financial services for struggling German farmers). Concerned that Tar Heel farmers suffered from exorbitant loan interest rates, Hill and Clarence Poe, editor of the historically agrarian The Progressive Farmer, persuaded the General Assembly to pass the Credit Union Act of 1915. In 1916, North Carolinians led the South in the establishment of credit unions. That year, John Hill convinced Durham countians near Lowe’s Grove to organize the Lowe’s Grove Credit Union. This association, writes political scientist William Hays Simpson, was the “first co-operative short-time credit society to be established in the South under legislative sanction.” Meanwhile, Mecklenburg countians established several credit unions, including Carmel Credit Union and Oakdale Credit Union. By 1917, under the direction of the first Superintendent of Credit Unions William R. Camp, fourteen credit unions existed in the state. Each promoted thrift and savings; each especially encouraged children to save. In 1918, when many North Carolinians bought Liberty bonds to help fund World War I, credit union officers still encouraged members to save so that fledgling credit unions could continue providing much-needed services. Immediately after the war, more North Carolinians established and joined credit unions. African American membership, in particular, increased considerably. In 1918, black Rowan countians formed the first African American credit union in the state. During the 1920s and 1930s, North Carolina credit union membership oscillated. A high turnover in leadership stymied growth during the 1920s. During the Depression, U.S. Congress passed the Federal Credit Union Act of 1934. The law authorized the creation of federally chartered credit unions in all states and created the Bureau of Federal Credit Unions; proponents believed a national approach to encouraging thrift, providing credit, and thwarting usury was necessary. So, federal approval and economic troubles renewed public interest in credit union membership. By 1940, over 120 credit unions existed in the Tar Heel state. By 1950, there were a little over 200 North Carolina credit unions. African Americans comprised the membership of fifty-five of the institutions—an impressive number that almost equaled the total of African American credit unions in the remaining states of the Union. By 1960, the number increased to 231, and credit unions supported their operations without governmental assistance. Since 1960, credit union growth has continued. During the 1970s, national legislation allowed credit unions to offer more services, including loan mortgages. During the 1980s, a time of increased unemployment, Congress recapitalized the Share Insurance Fund (SIF). Backed by the federal government, the SIF supposedly then had, according to the National Credit Union Administration, “ ‘fail-safe’ features.” To fund this insurance, credit unions place one-percent of total savings into the SIF; the National Credit Union Administration manages the SIF. Because of the SIF, public confidence in credit unions’ solvency increased. Also in the 1980s, membership grew because the definition of “common bond” expanded to include members of various occupations. As a result, many bankers complained that the identity of credit unions had changed. They argued that a credit union now conducted business like a tax-exempt bank; they deemed such practices “unfair competition.” Credit union leadership, however, believed that their institutions helped working people who otherwise would not be able to obtain credit and services at reasonable rates. With years of litigation, North Carolinians put this debate into the national spotlight. In National Credit Union Administration v. First National Bank (1998), the U.S. Supreme Court ruled that banks can challenge the NCUA’s legal interpretation of section 109 of the Federal Credit Union Act and that the expanded definition of “common bond” in the case of AT&T Family Federal Credit Union was impermissible. William Hays Simpson, “Credit Unions in North Carolina,” North Carolina Historical Review 39 (Oct. 1962): 541-48; The North Carolina Credit Union Division, “Credit Unions,” http://www.nccommerce.com; National Credit Union Administration, “About NCUA,"http://www.ncua.gov/AboutNCUA/Index.htm; See also the U.S. Supreme Court case National Credit Union Administration v. First National Bank (1998) on OYEZ.